Visceral. Unapologetic. Unnerving. 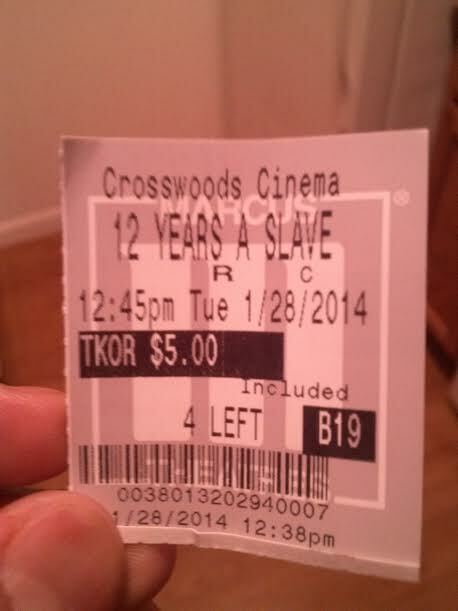 If someone asked me to describe “12 Years a Slave” with three words, these would come to mind. 12 Years a Slave is director Steve McQueen’s vision and adaption of the 1853 memoir that bears the same name, written by Solomon Northup, the titular character in the film. The film begins in 1841, and shows Solomon as an intelligent and affable patriarch who is, most importantly, a free man. A side musician in his free time, Solomon is offered a 2 week gig out of town, and goes to dinner to talk business with the well meaning individuals. Through means, he wakes up shackled and confined, and his life he just knew a day ago is no longer. If you are one of those film watchers who sometimes questions why some films take so long to get going, realize that 12 Years does not have this issue. It does not take long for this film to immerse itself in the subject matter, which is a plus and minus in my eyes, but that will be examined later. Build aside, this film demands, no—seizes your attention, and never relinquishes it over the duration of the film. 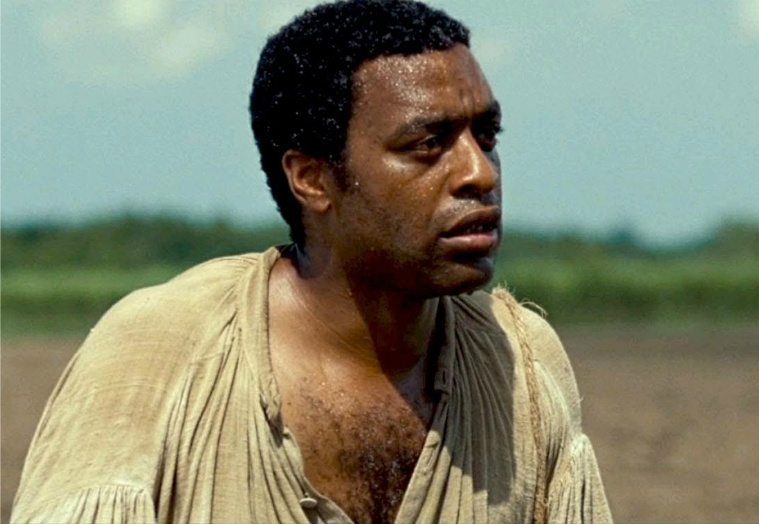 The attention seizing begins with acting, and Chiwetel Ejiofor portrayal as Solomon Northup/Platt Hamilton. 2013 was an extraordinary year for movies (looking past the summer blockbusters of course) and actors, but Ejiofor, who has been on the precipice of a breakthrough for a while now, absolutely nails it in this role. Taking a step back, I think this was an amazing casting decision by McQueen. 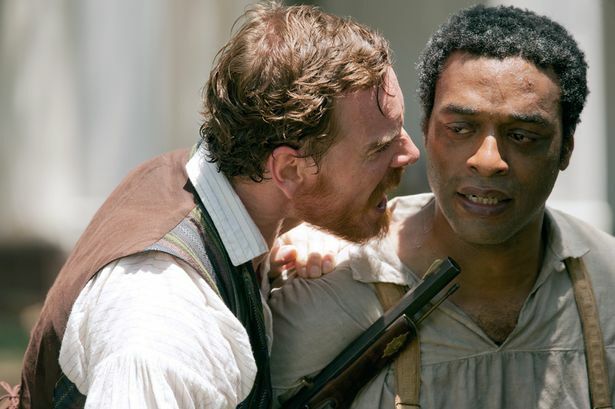 Because he is not, and will probably never be, at the popularity level of say a Denzel Washington or even a Don Cheadle, I think it immediately forces you to see the actor as that character (Solomon Northup) and not as “That’s Denzel Washington playing a slave.” What I am seeing go unnoticed among critics is how much Ejiofor has to rely on his expressions and namely, eyes to convey emotion. While there is no shortage of speaking words and the occasional diatribe from Solomon, slaves were often directed to speak only when spoken to. Every shred of pain, reflection, sadness, and helplessness, in addition to other feelings, is exhibited through the eyes. 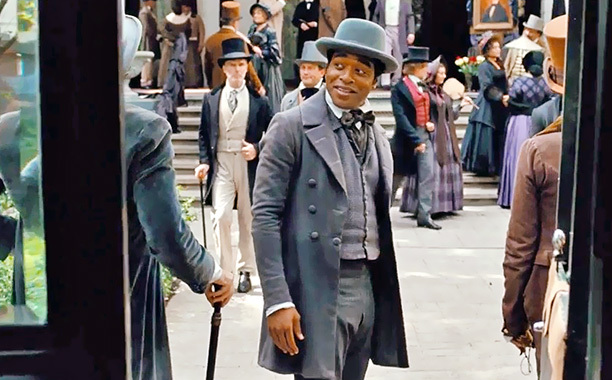 Ejiofor is only one of the characters, however, and other actors that appear in limited or extended screentime include Paul Dano, Lupita Nyong’o (debut performance! ), Paul Giamatti, Benedict Cumberbatch, Sarah Paulson, Brad Pitt, and last but not least, Michael Fassbender. All of the performances range from great to excellent, but it is Mr. Fassbender’s role as monster plantation owner Edwin Epps that in many ways steals the show. He is one of the most despicable characters I have ever seen in a movie; made even more sinister by the fact that he uses quotes from the Bible (some embellished, some made up) to justify why there is nothing wrong with having slaves and treating them like livestock. His charisma is undeniable. He has to be a strong favorite to win the Best Supporting Actor award at the Oscars. This movie is by no means an easy watch. I loved the morality issues that some characters, and ultimately I as a member of the audience, had to come to grips with. There are some characters that do try to assist Solomon, and in the back of your head you think “Well, this guy can’t be that bad.” It is only when you examine it a little more and remind yourself that these people are still partaking in a terrible practice, and it can be argued if their “neutrality” is more of a hindrance than a help. As mentioned previously, this movie is visceral. This was amplified in the literal sense in my case because I was forced to sit in the front of my theater, as all of the back and middle seats were taken. Every unnerving whip, step, and wound was magnified. I imagine the experience will stay the same for most, regardless of where they sit, however. These unapologetic moments are supported by Hans Zimmer’s subtle yet haunting score. You know Mr. Zimmer from Nolan ground shaking films such as The Dark Knight and Inception, but here, he proves less is more. All of the pieces hit in the right places (no pun intended). And praise must be given to Steve McQueen. There are some absolutely mesmerizing shots, and namely three that will always stay with me, but I wont spoil. One of the few flaws that I find with the film is it’s length. Usually, when I mention length, I always refer to a movie being too long for its own good. Here, I really feel like this film could have benefited from an additional 15-20 minutes of character development and build, namely at the beginning and by Cumberbatch and Dano’s characters, respectively. It isn’t a huge issue, but one that bears attention. I am also of the belief that the time aspect is sort of hazy. We know that Solomon has spent 12 years indentured as the title says, but in the actual film it appears less, which leads me to believe it is a slight editing issue. Honestly I am probably making much ado about nothing, but I’ve seen this qualm raised. All in all, I really believe we are looking at the Best Picture winner. It may be premature to say this, as I still have to see Captain Phillips and Dallas Buyers Club (hopefully), but everything comes together so perfectly, which is not easy to do with movies based around this subject matter. It will not be a film I rush to see again, but the effect it has left on me is undeniable. Trying to see Captain Phillips and Dallas Buyers Club soon. But Lone Survivor may be next on the agenda. Agree with the majority of things you have said, even to the part where I would not rush to see it again. As amazing as it was, watching it over and over would be tough. I gave it a perfect score, as I was affected so deeply on so many levels, and could not think of anyway to make it better. I kind of understand that Cumberbatch was a decent man, while Dano was awful, so while more build-up would be welcome, the points still would have been the same. Well written! Thanks for the comment. I figure grades may change over time. I may end up giving this an A at some point. Out of the 7 nominees I’ve seen, it is the best imo, and Her is a close 2nd. Funnily enough, Her is the only other movie that I gave a perfect score too. Seems like we have similar taste. People can write full out essays on these films due to how powerful and emotional they are. Really enjoyed this review. I love the discussions of apathy, your takes on morality and the use of facial expressions. I feel as though that was a glaringly prominent part of his performance yet I feel it is something I missed in my own review. Thanks! No worries, I usually forget aspects about the film I wanted to include as well with any review.